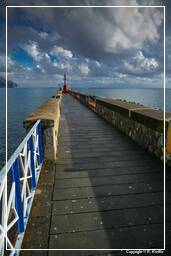 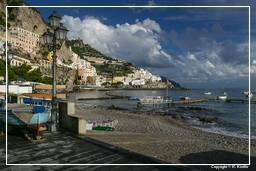 The Amalfi Coast (Costiera Amalfitana), on the south of Naples, extends from Positano in the west to Vietri sul Mare in the east. 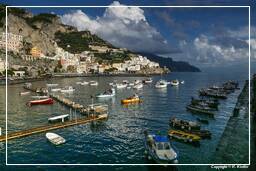 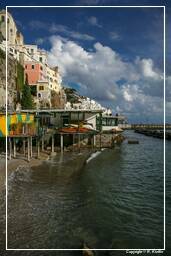 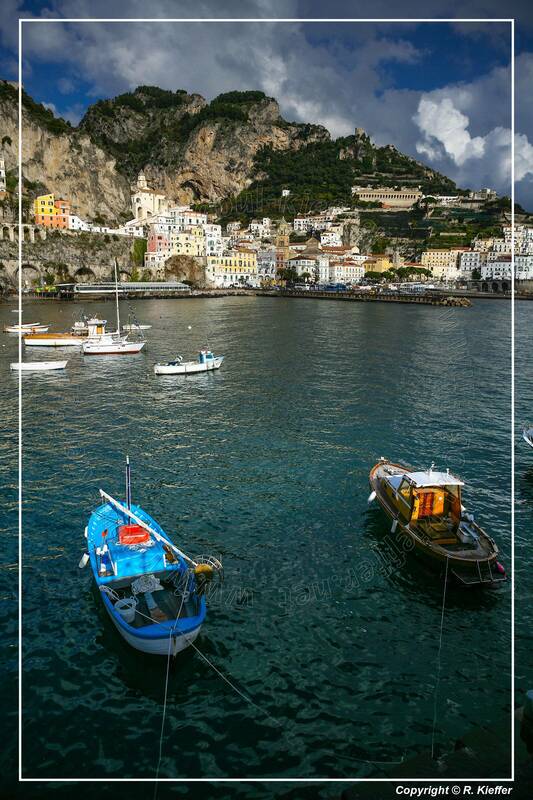 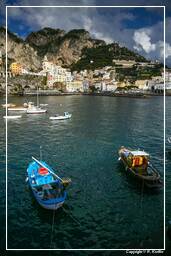 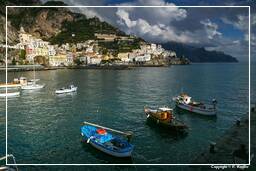 Positano: The small fishing village (Population 3,900) lies in an enclave with vertiginous slopes to the sea. 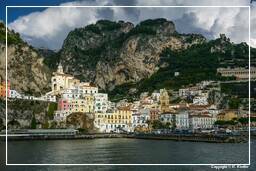 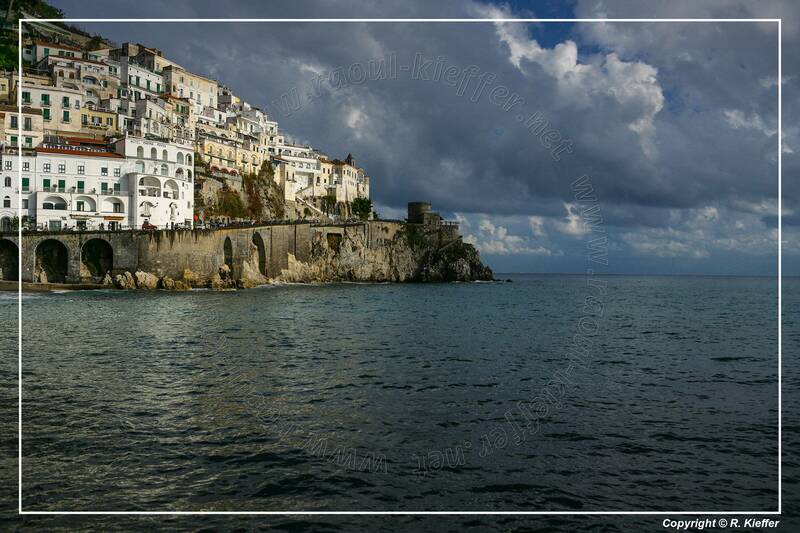 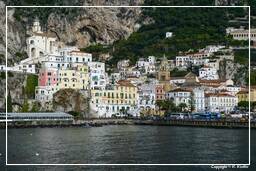 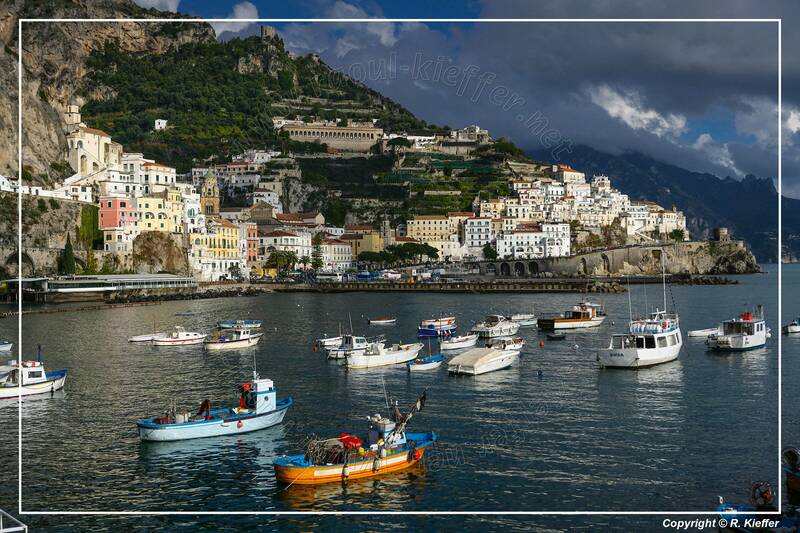 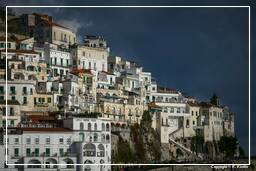 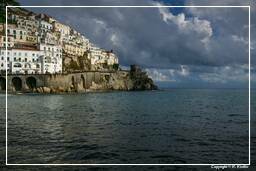 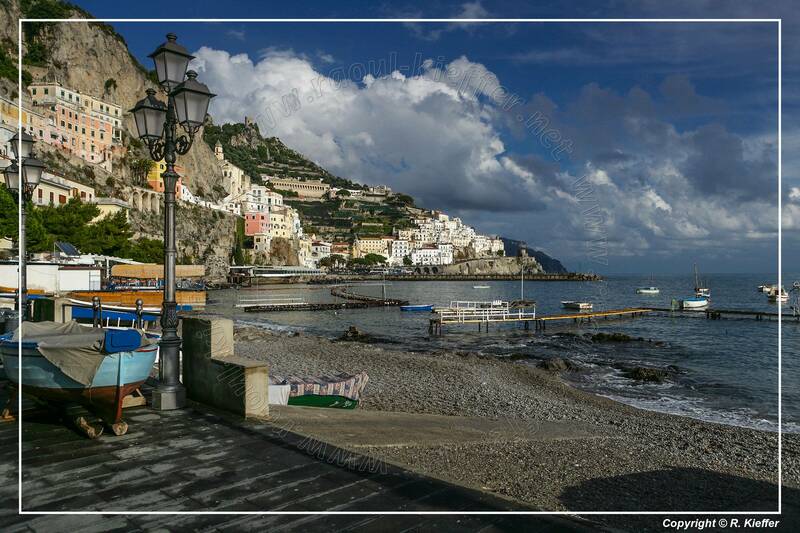 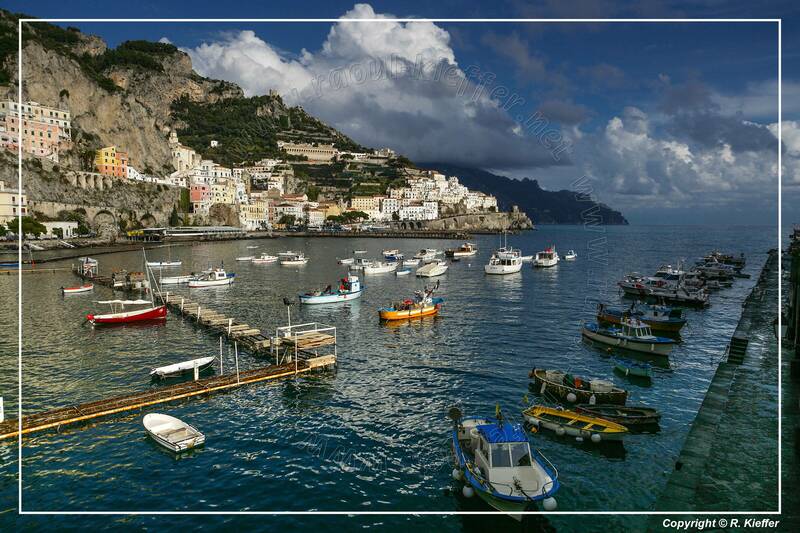 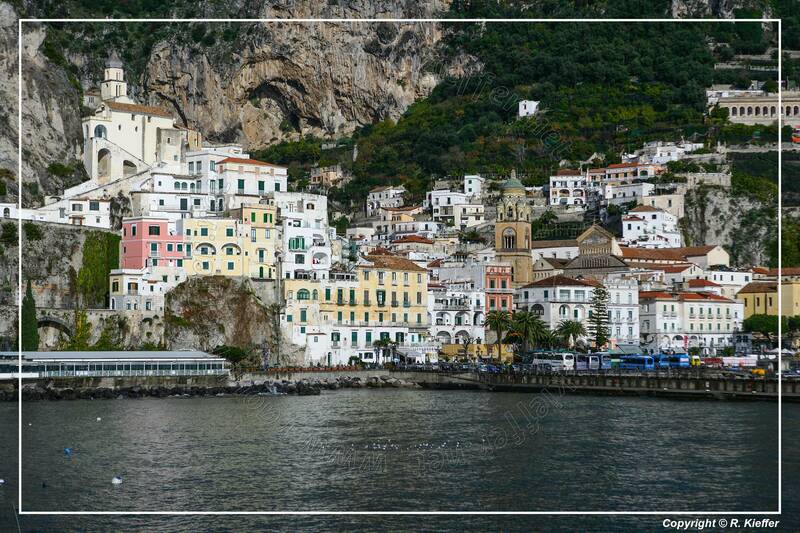 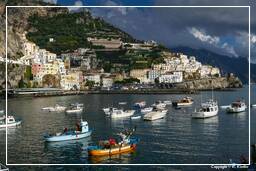 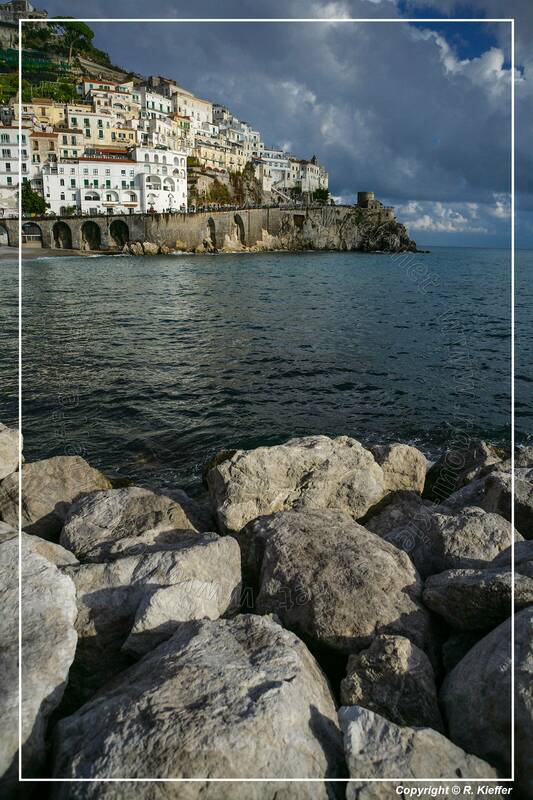 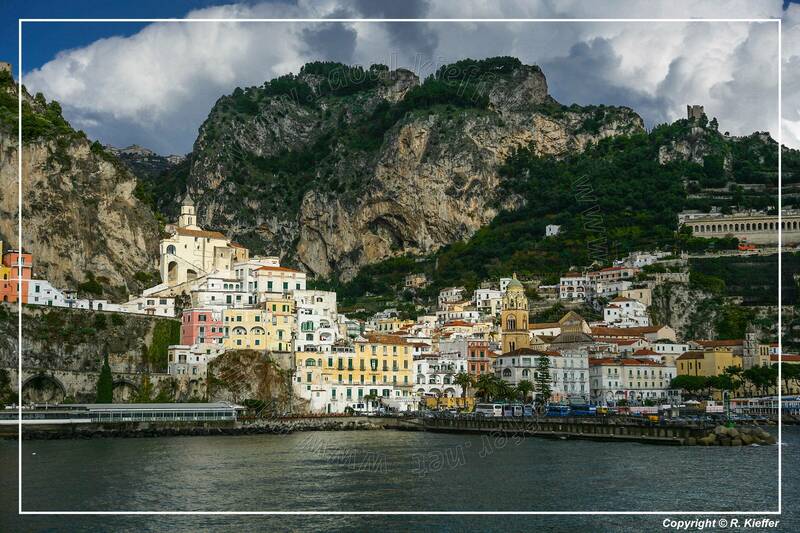 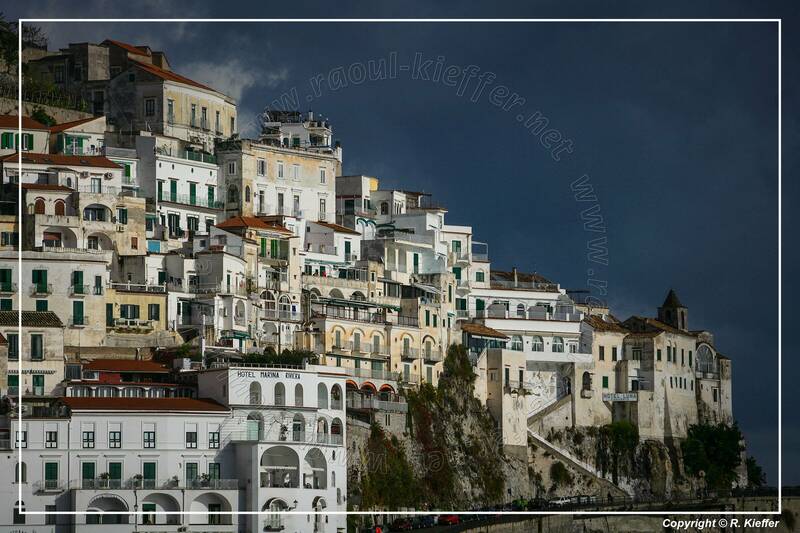 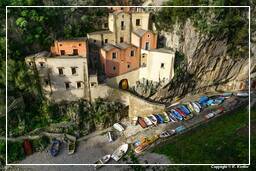 Amalfi: The town is the largest on the coast (Population 5,500). 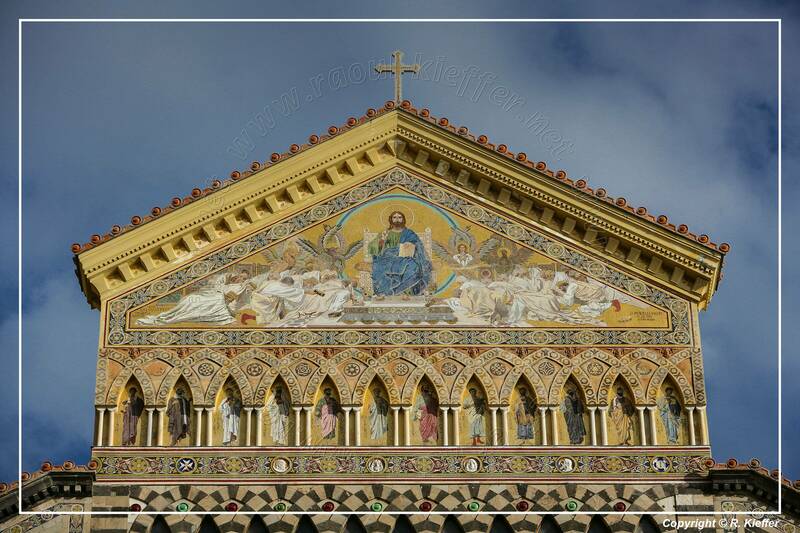 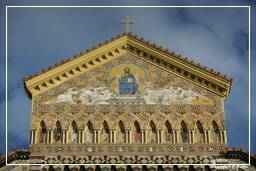 The Duomo still houses some relics of the apostle Saint Andrew’s brought from Constantinople in 1210. 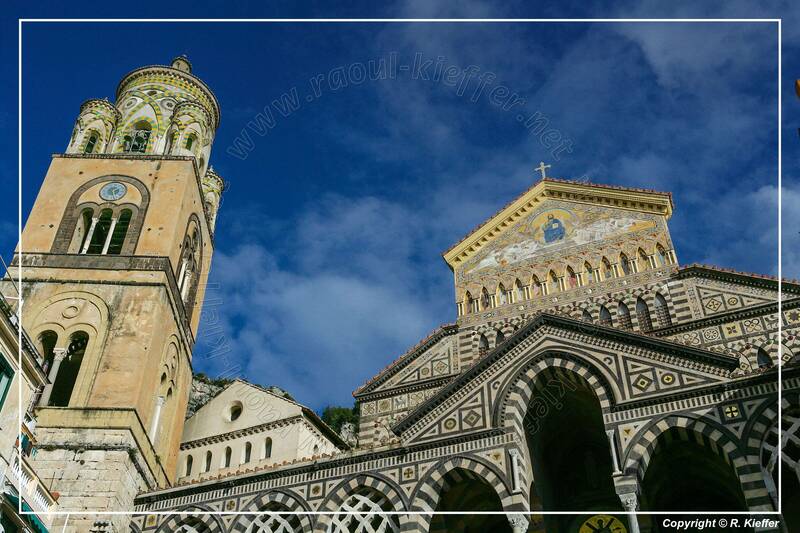 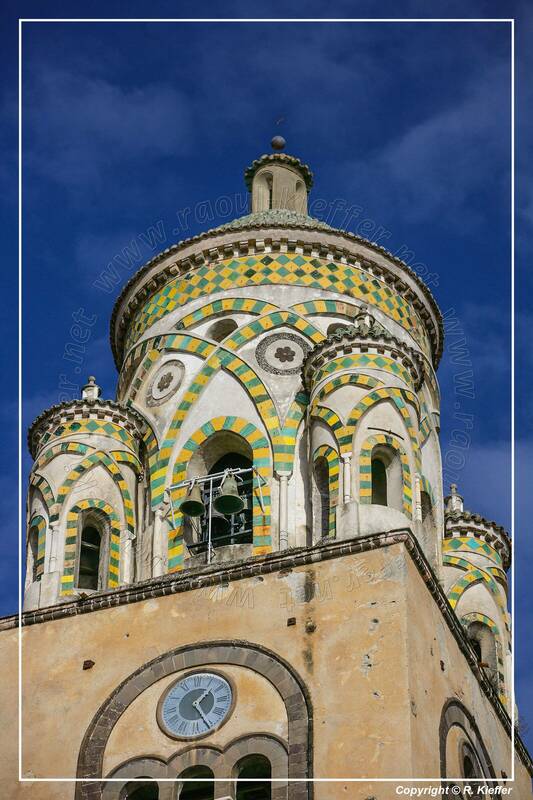 Ravello: The Villa Cimbrone and Villa Rufolo provide the best views on this coast. 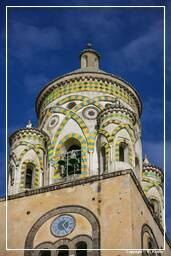 In the latter Richard Wagner was inspired in 1880 for his opera Parsifal.